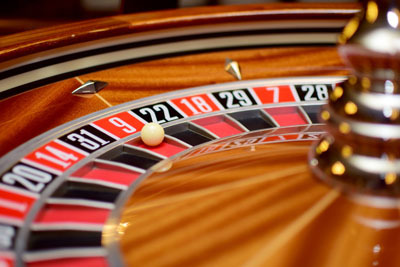 While your songwriter destiny isn’t purely dictated by chance (you do control your song quality, after all), your odds of getting a major cut are small, just like the odds of landing on a particular slot in a roulette wheel. But as you write and produce exceptional songs, you can use the laws of probability to your advantage and increase your chances of success. You do so by increasing the amount of everything you do as a songwriter. In other words, you spin the wheel more frequently. That’s right. Numbers. While the quality of your songs, demos, networking, and pitches is paramount, the quantity of your efforts matters just as much. Those who work harder and longer, have more songs, schedule more pitches, and nurture more contacts have a higher chance of success from a probability and an X-factor standpoint. While numbers don’t guarantee success in this challenging industry, they sure do increase your odds of landing that big cut. So here are just 20 ways that you can increase your efforts and thus increase your chances. Spend more time writing songs. Make more revisions and edits to polish your lyrics. Expand the number of songs in your catalog. Create more diversity in your song catalog by writing different types of songs. Get more song critiques by friends and professionals. Spend more time prepping and planning your demos. Meet more people in the music industry. Spend a little more for a higher quality demo. Listen to radio more frequently to know what’s current. Read more music blogs to stay in the loop. Read more songwriting books and study more great songs. Invest in better software, apps, and equipment. Spend more time researching the music industry and the constantly changing activity within it. Schedule more pitch sessions with publishers, artists, and record labels. As you spin the songwriter career wheel, you never know where the ball will land. But if you spin the wheel enough times, you become more and more likely to land on the slot you want and get a substantial song placement. While the quirky, sometimes arbitrary song selection process at times feels unfair, by playing the numbers game and increasing the quantity of everything you do, your odds of success increase dramatically.